Home › Blog › Why Crossfit? 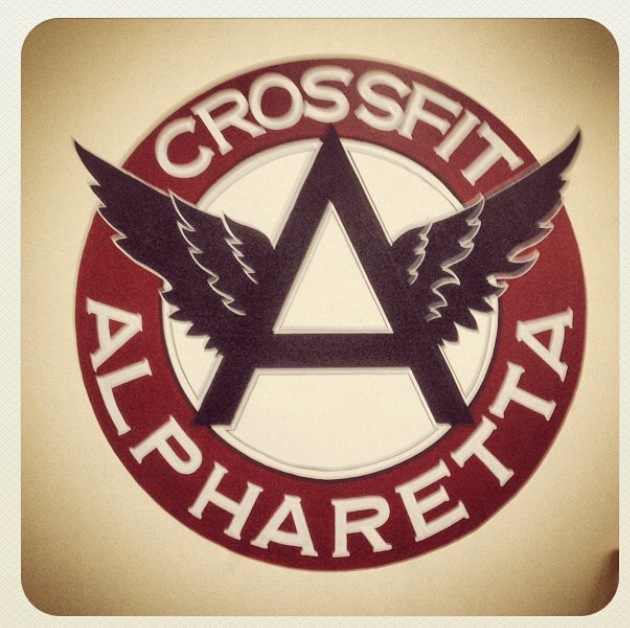 Below is my interview with Justin Tway from Crossfit Alpharetta. With everyone making resolution goals for the New Year, I wanted to spend this month shedding light on the different forms of exercise people can check out and how they can benefit you as a runner or just someone looking to get in shape! I hope you enjoy the interview and stay tuned for more. Fleet Feet: What is CrossFit? Justin Tway: CrossFit is a class-based fitness program. We use running, rowing, gymnastics, olympic weightlifting, powerlifting, and any other fitness modality that gets results in our program! It is more often defined as, "constantly varied functional movements performed at relatively high intensity." FF: What got you into Crossfit, and how long have you been coaching? JT: My CrossFit journey began in Eugene, Oregon. The person I was dating at the time was training for the 2008 Olympic trials in track and field. My training regimen consisted of lifting heavy but never, ever, breathing heavy. As a result, I was in bad shape in terms of overall health. A close friend and doctor suggested CrossFit. I gave it a go and fell in love. I have been coaching for over three-and-a-half years. FF: How can CrossFit benefit runners? JT: CrossFit can benefit runners in that it will absolutely make them stronger when done correctly. There are many types of CrossFit gyms and all are not created equal. I come from more of a strength and conditioning standpoint. I don’t agree with long workouts that break athletes down. I create a natural ebb and flow allowing people to become strong, conditioned athletes. This can be great for runners as running, at it’s core, tends to break people down. The constant pounding on the joints and high miles that some perform is just not good for the human body. I think people can supplement with CrossFit style workouts in order to gain strength and allow their bodies to perform better. If a runner is stronger, they will be able to hold their pace and stride longer. To me, that would be a huge benefit. FF: Are people able to do CrossFit and still train competitively for running events? JT: I have had many clients train for Tri’s and half-marathons while attending my gym 3-5 sessions per week. It can absolutely be done. FF: Do you have to follow the Paleo diet to be successful in CrossFit? JT: I do believe that the Paleo diet has some fantastic health benefits. As a coach, I don’t speak or believe in absolutes. Some athletes need a bit more carbohydrates in order to keep up the volume of training they complete. My advice is always to eat whole, non-processed foods as much as possible. I don’t like buzz words like “Paleo” or “diet." To me, a diet is not something you go on but something you eat consistently. You eat a healthy and balanced diet that contains primarily meat, vegetables, and healthy fats, and I would be willing to bet your performance increases. FF: Can CrossFit help runners recover from running injuries through strengthening? JT: Many of the athletes in gyms I have worked in have come to me as "broken runners." The issue is that most people who run do not do any strength training. Strength training is abundantly important for everyone, especially runners. If we can get you stronger in a movement like back squats, your body will undoubtedly be stronger during runs. We can work on mechanics of movement while lifting, which in turn, translate into better movement while running. FF: What has been the biggest benefit you’ve seen through doing CrossFit? JT: I was pre-hypertension and weighed 250lbs when I started CrossFit. I am now 209lbs at 15% body fat and stronger than ever. My blood work is also impeccable! CrossFit has also helped my social life as I met my fiancé in the gym, and most of my peer group was gained in the gym. As people age their peer group circles get smaller. When you attend a gym like this, you actually increase your circle and support system! FF: When people hear the term “CrossFit,” they sometimes associate it with rhabdomyolysis. Can you explain why this isn’t a common injury and why some people develop rhabdo. JT: Rhabdo is a concern to anyone doing any athletic pursuit. In my time coaching, I have heard of a few cases but seen none. Rhabdo is one of those scare tactics akin to the old "reefer madness videos." It does occur, but it’s extremely rare. If you are in the correct gym, you won’t be exposed to high volume movements where the danger lies. FF: What is a success story you can share through your experience coaching CrossFit? JT: I have a few to share. I have a 61 year old man who has been with me about 18 months. He is diabetic. He has been able to decrease his insulin due to the results strength training has had on his body. Another success story is a client in her mid 40’s. When she started she had the bone density of an 80 year old woman. Fast forward 2 years, and she now has the density of a woman 10 years her junior. Weight training is incredibly important to the aging woman’s skeletal system. I see these as real life victories. Everyone can lose a few pounds here and there, but these are truly life changing results! FF: If people want to check out you and your CrossFit gym, where can they find you?